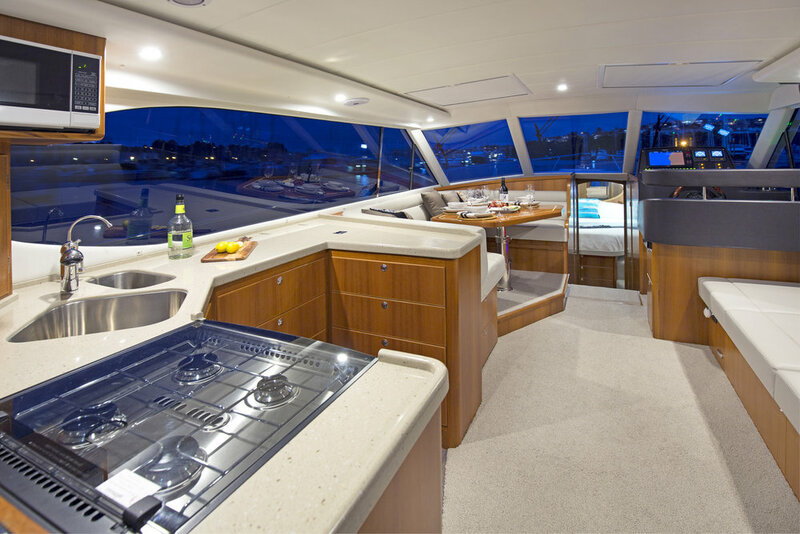 Salthouse Corsair 44E | Hylas M44 on display, ready for viewing ! We are excited to have on display the latest Salthouse Corsair 44C being marketed in Europe by Grabau International Ltd in conjunction with Hylas Yachts Ltd as the Hylas M44. Step onboard and experience the difference, a motor yacht which can only be described as simply superb - combining form, function and performance. Every vessel is handcrafted using the highest quality materials designed for the marine environment. Make sure you drop by and say hello. Dean and the team from Grabau International will be on hand to discuss your boating requirements. We are excited to have on display a Salthouse Corsair 44C. Make sure you drop by and say hello. Dean and the team will be on hand to discuss your boating requirements. 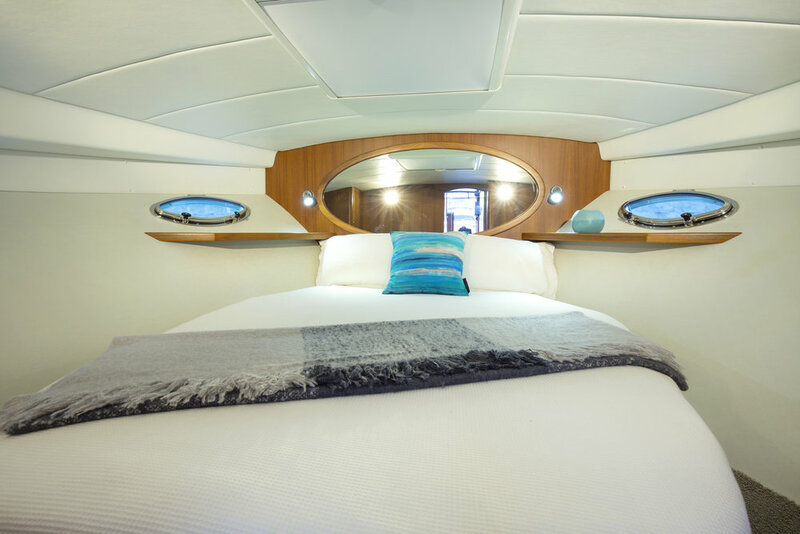 Increased demand for its luxury motor yachts, together with a healthy local economy, has led to local boat builder Salthouse Next Generation Boats shifting its manufacturing arm to Taiwan. Owner Dean Salthouse says the company has experienced a massive increase in enquiries for its popular Corsair range which has grown significantly over the last five years. This is on top of increased business opportunities as a result of the 2013 purchase of the ICON flybridge motor yacht range from Formula Cruisers. Classic design and sea-going practicality meets modern technology and fresh, crisp, styling in the latest Corsair Cabriolet from the yard of Auckland’s Dean Salthouse. Steve Raea soaks it up. Eligo is the seventh New Generation Corsair Cabriolet off the floor and with orders for three more, Dean Salthouse is one of few top-end motor yacht builders finding a market at a difficult time for boat building in New Zealand. Dean and Bob Salthouse have taken a seminal Kiwi motor launch, the evergreen Corsair 36, and reworked it for 21st century boating. The new Corsair is longer and boasts a thoroughly modern, new millennium interior while retaining the family-friendly, versatility that made Corsairs Mk I and II so popular with the New Zealand boating public. Bob Salthouse has had more than 700 boats built to his designs and this is a new model Corsair 44, designed by Bob and built by his son, Dean Salthouse. The 44 is an extended version of Bob’s Corsair 36, one of the most popular production boats built in New Zealand in the 1980s. Hylas - H60 - the designer hard-top offers great versatility whatever the weather. Stunning day for a regatta!